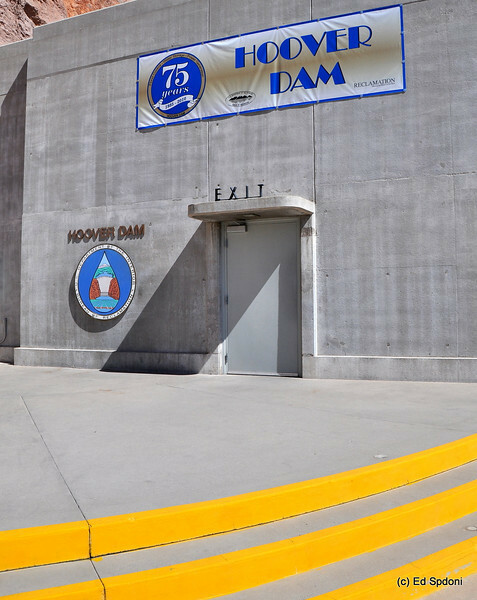 Hoover Dam celebrated it's 75th anniversary in 2010. Not sure which is better. What do you think? Lovely comp - love the bright yellows! They are both great but I'm drawn more to the color version. Really like the lines in this shot. Nice job. Love the colors in this shot -- wonderful light and shadows too! Hoover Dam is a cool place to visit. This is outstanding Ed. Thanks too for your kind comments on my work lately. Looks like you all had a great trip, Bill & I are headed to Reno week after next, but we'll be working a trade show, so not much time to photo anything. This shot brings back many memories.. Used to live in BullHead City many years ago. Once a week we would gather up all of our jugs and head to the dam for water. I hear the area has really grown.